The Iceplex youth learn to play hockey programs are designed around the guidelines of USA Hockey’s ADM model, which creates a fun, relaxed learning environment for participants to learn the fundamental skills of ice hockey. The non-competitive and positive atmosphere not only makes a child’s first experience with hockey positive, but also creates an environment in which they can excel. Participants will not only learn the skills and game of ice hockey, but will also develop self-esteem and self-confidence. The program operates under the premise that if a player's introduction to the sport is positive, they will develop a lifetime love of the game. Our hockey programs are taught by the Iceplex hockey staff, and in partnership with Rochester Youth Hockey and Rochester Grizzlies coaches, who are all USA Hockey certified with extensive playing backgrounds. We promote parent involvement in our hockey programs and encourage parents to assist by becoming a coach, manager or volunteer. Any parents with an interest in assisting should contact the program director for more information. 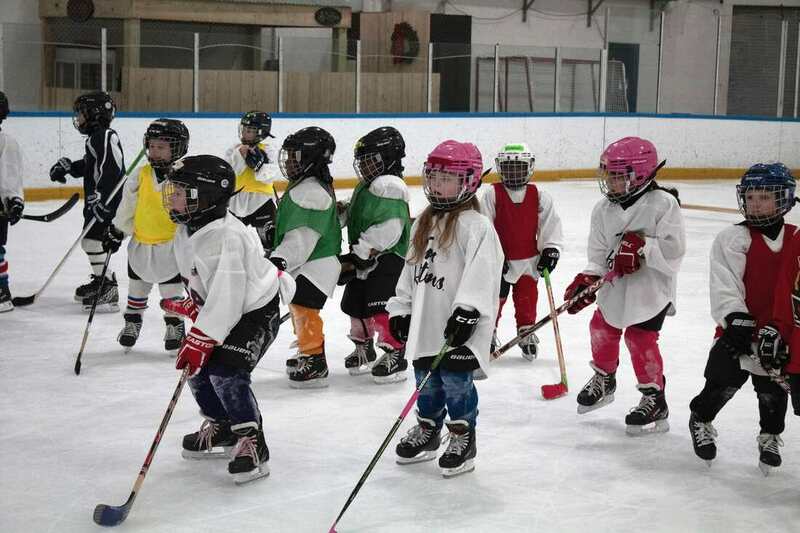 Skating 101 is the first step for a child to take if they want to become a hockey player. Having completed this program will provide a new player solid skating skills, which is crucial to having a positive first experience in ice hockey, and becoming a solid hockey player. This 8 week program runs all year long, and is offered on various days. Hockey 101 is a free entry level program that allows children to try the game of ice hockey, without a major financial, and time commitment. Free equipment kits are made available for all participants also, so there are no costs involved in trying the sport. This 8 week program runs year round on multiple days of the week. After Hockey 101, players move into the Pre-Mite program, which is run in a partnership with Rochester Youth Hockey and the Rochester Grizzlies youth hockey organizations. This program continues to build individual playing skills of all participants, but also introduces a team concept over the course of the season. 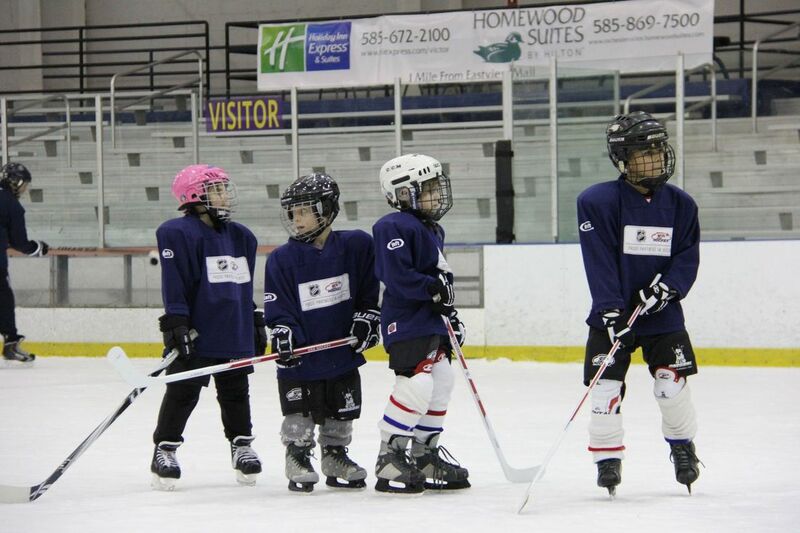 After completion of the Pre-Mite program, players graduate into organized youth hockey, starting with the Mite playing level. Rochester Youth Hockey and the Rochester Grizzlies hockey organizations both offer well run programs at various skill & ages levels, and are partners with the Iceplex in the Pre-Mite program. ​Our adult learn to play hockey program, the Never Ever League, is designed around one simple concept - create a positive and fun environment for adults to learn the game of ice hockey. The idea of getting on the ice for the first time as an adult can be very nerve racking, so we have removed that fear by creating a learning environment where all participants are starting from square one. Our instructional staff make every class fun and light hearted, so all participants are comfortable from the moment they walk through the Iceplex doors. The Iceplex offers additional opportunities for adult players to get on the ice and continue to develop their skills - Skate & Shoot and Adult Development sessions. ​The Iceplex Adult Hockey League is the area's largest adult hockey league, offering organized league play all year long, for players of all skill levels. The Iceplex's central location and high end amenities make it an ideal location to play recreational hockey. The Never Ever League is the world's greatest adult learn to play hockey program. The program is the most successful of it's kind in the U.S., and since it's inception at the Iceplex, it has taught ice hockey to over 1,200 adults, by creating a positive learning environment for participants. Never Ever #2 is a next step for players who have graduated from the Never Ever League, and are seeking additional development opportunities in an effort to better their hockey skills. It is structured in a similar format as the NEL, but focuses more in depth on advanced skills. The Iceplex hockey staff offers adult specific development sessions throughout the year. These are in a drop-in format (show up to any that you want to), and focus on hockey skill development, and power skating. These are great for players who are looking to develop their playing skills. The Iceplex Adult Hockey League (The IAHL) is Rochester's largest adult recreational hockey league. It features league play on five different days of the week, and offers multiple playing divisions for players off all skill levels, and runs three playing seasons throughout the year.